Well hello to you my reader chums, I hope you had a fabulous Christmas and are all well! Instead of doing a what I got for Christmas haul, I thought as I went to Bluewater to check out the sales with my best of friends on Saturday, I'll show you what I purchased there. I had a super fun day and had my first ever Wagamamas which didn't disappoint if I do say so myself. One of my bigger purchases were these burgundy converses, I've been wanting a burgundy pair for a while now and as I had Christmas spending money I thought I would finally get them. 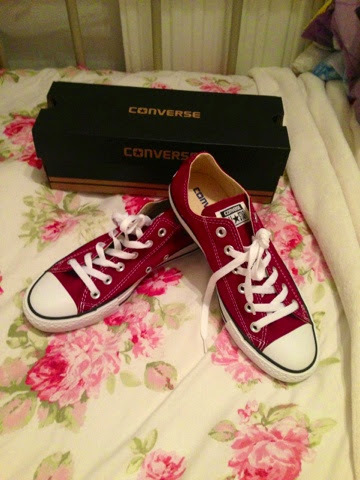 I love these and its another pretty addition to my converse collection! I think they'll look fab in this season and cost me around £45. Who can go on a shopping trip without a lush purchase? Not me for sure. 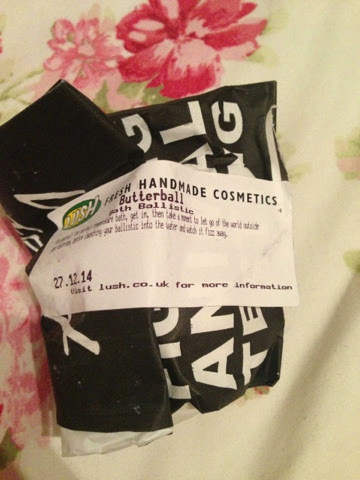 I picked up two things, the first one being the butterball bath ballistic. I've never tried this bath ballistic before and because it has such a light, refreshing vanilla scent, I though it'll be perfect for a relaxing pamper evening. 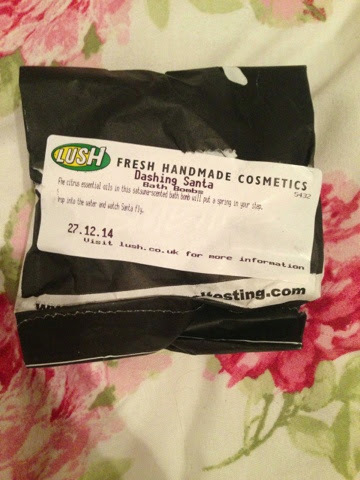 The other item was the dashing Santa bath bomb, as this was part of their Christmas range I got it for 50% which was a total bargain! I loved the scent of this one also because it has a kind of spice to the smell, giving a feel and warmth of these winter months. 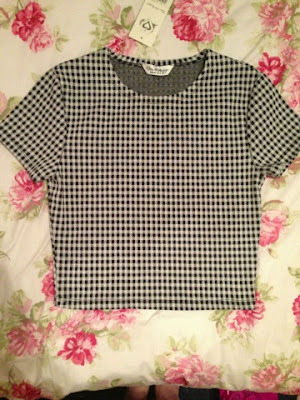 One of my favourite clothing items I picked up was this monochrome checkered crop top. I found this beauty in the Miss Selfridge section in House of Fraser. I loved the look of this as I thought it could be dressed up or down and as its black and white its definitely a Della top, I do love a bit of monochrome! This cost me £16. 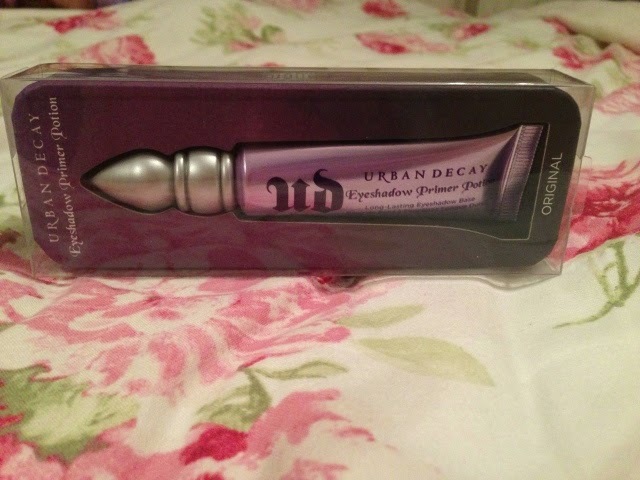 Whilst in House of Fraser, I took a visit to the makeup counters and finally picked up a full size of the Urban Decay primer potion which I'm very happy about. I also intended to buy a Mac lipstick but the one I chose was out of stock which was unfortunate. The primer cost me £16. Topshop in Bluewater was rather hectic and therefore I took myself over to the makeup section away from all the crowds. 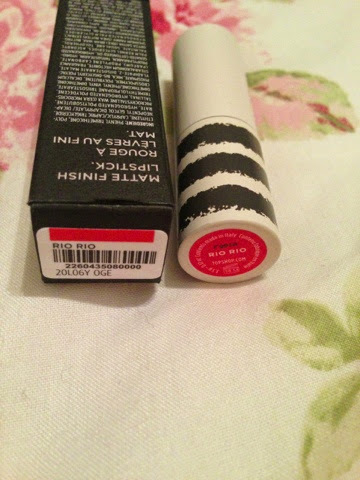 I spent a good while swatching the lipsticks as I really wanted another one since I loved 'Beguiled' so much. In the end I chose the shade 'Rio rio' which is a bright orange toned red. I've been wanting a orange lipstick for a while but I didn't want to buy a too bold orange lip straight away in case the orange colour didn't me, resulting in getting this red-orange shade. I've tested it out on the lips and I think its going to make the perfect summer shade. The lipstick cost £8. 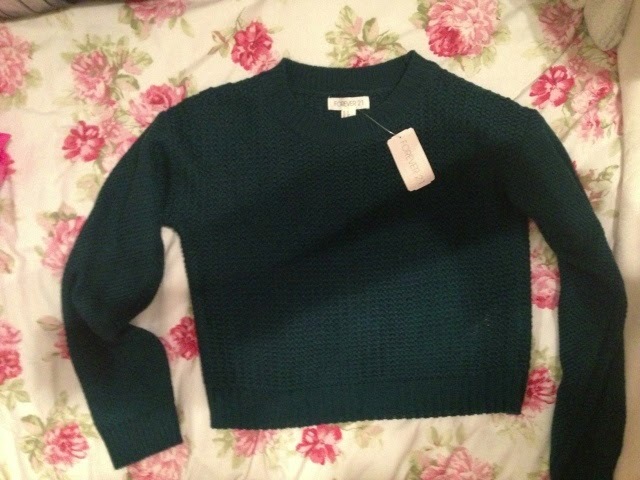 I bought two items from Forever 21, the first being this gorgeous teal coloured crop jumper. The camera isn't really picking the colour up but its lighter and brighter in person. When I tried it on it was super comfy and I just adore the colour. I think its going to give my wardrobe a boost of colour, and I can't wait to style it. For £12 its a good bargain. The other thing I bought was these high waisted jeans. I love high waisted clothing and since I've got such good use out of my other pair of high waisted jeans I decided to get these. 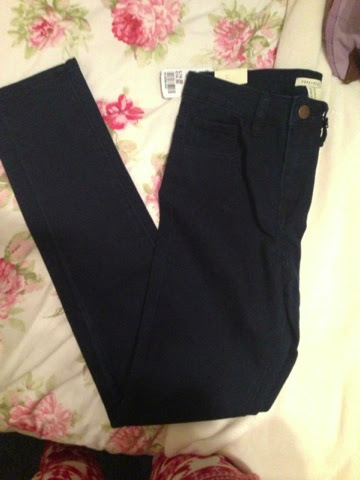 Unlike some jeans, these sit rather nice on me and don't go all baggy on the knees. Not only this but they're super comfy, and only cost £14, which I think its a pretty good deal. 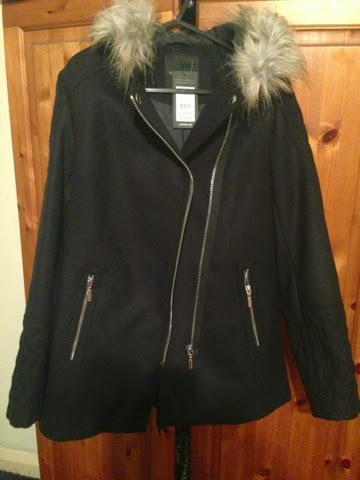 The other bigger purchase was this lovely coat from New Look. I've been meaning to buy another coat for a while now but there wasn't any I've seen which I particularly liked or I thought would be quite versatile. However then I found this little gem, which is a lovely simple colour, has a furry hood ideal for cold weather, huge pockets and cute embellishments on the sleeves. A great buy in my opinion as I know I'll get so much use out of it in these colder months. For £49.99, its worth every penny. 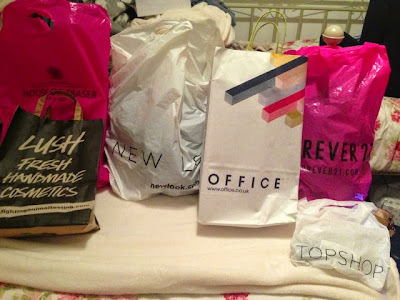 I hope you enjoyed this haul and all the items I picked up. 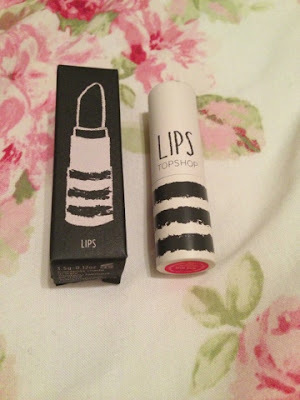 Love these picks, I have heard great things about the topshop lipsticks, I think I'll have to buy myself one! Also love the teal jumper and converse!